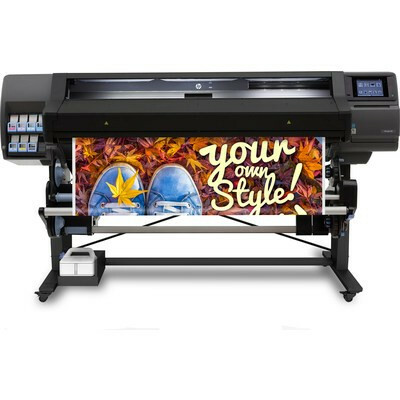 HP Latex 300 / 500 Series: for versatile, fast, instant dry, scratch-resistant wide-format printing. Papergraphics is not the first to sing the praises of the 3rd generation HP Latex 100/300 and 500 series, but there are many good reasons for Papergraphics to give them the thumbs up. Beyond being an exceptionally affordable choice for small to medium print service providers looking to capitalise on indoor and outdoor wide-format applications, all three options deliver amazingly fast, high-quality, ready-to-deliver prints with vivid colours and smooth transitions. Across the range, we are seriously impressed by their reliable print performance, easy operation, low maintenance and all-around versatility in being able to handle a huge variety of wide-format applications from posters and POS to banners, canvas, pop-ups and vinyl. For many small set-ups, size does matter, and each in the series is pretty compact for their professional level of production and are easy to install wherever you want with the added benefit of front-loading functions to save on space too. Their Latex ink optimised technology adds time-saving efficiency and definitely increases productivity delivering prints that dry instantly, are scratch resistant and can be laminated immediately. Latex inks are also greener, less toxic and odour free and can be used in indoor spaces where solvent prints can’t be. 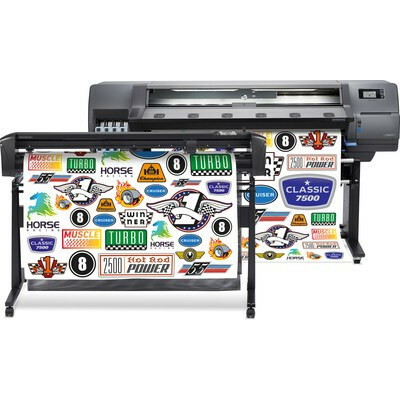 As an affordable all-rounder with tremendous capacity and potential, it’s easy to see why these HP Latex printers lead the market and are ranked as the world’s most popular machines. 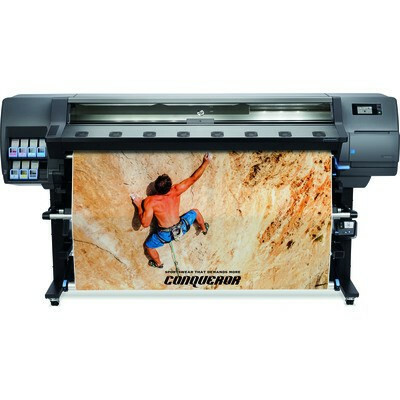 HP Latex 100/300 and 500 series: datasheets, videos, photos and certifications. Prints up to 1.37m wide at speeds of up to 12m2/hr for indoor quality (8 pass prints). Prints up to 1.63m wide at speeds of up to 13m2/hr for indoor quality (8 pass prints).